Featuring as many Norse landscapes as a 30 second clip can hold. The latest in Norse ARPG goodness is just a couple weeks away. 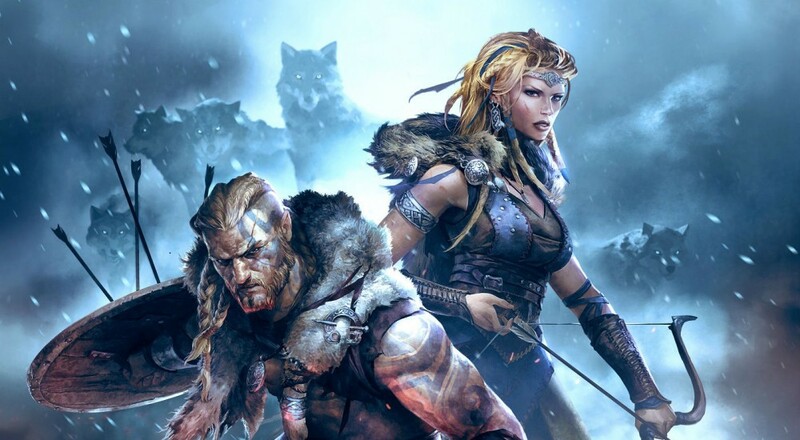 Soon enough, you can brave the harsh colds of Niflheim, combat deadly creatures, and engage in sweet blood sacrifices without having to physically do any of that stuff! It's probably for the best, to be honest. I'm a wimp in lower temperatures and probably really bad at gathering blood. I wonder how the gods feel about you using and leveling up the weapons they gave you? I mean, for all we know, those were for the sake of decoration, and we're totally tarnishing them. Let's hope it doesn't come back to bite us. Page created in 1.7754 seconds.